Don’t know what Christmas gift you should choose for Apple lovers? Check this iMobie Xmas gift guide to get some amazing gifts for iPhone iPad users. Don’t get them an iPhone or an iPad, because they already have those (maybe the newly released iPad Pro, if they still haven’t gotten one. Here we have assembled a dozen great gifts for Apple lovers, they are not about Apple products, but covers the best accessories for iPhone, iPad and Mac. All you need to do is selecting the best one that fits your budget and suits for your family or friend from them. Except getting Apple lovers a nice accessory for their iPhone, iPad or Mac, you also can get them some creative and sweet Christmas gift, like an App? For example, if he likes listening to music on iPhone or iPod, you can pick him up an iOS music management App. If he likes taking photos with iPhone’s built-in camera, you can get hime an iPhone photos managing tool, etc. So check this list of best Apps for Apple users, and make a wise purchase. As No.1 iPhone iPad data management tool, AnyTrans helps you manage Christmas music, videos, photos and ringtones, etc better by transferring them to computer, iTunes or other iDevices as you want. 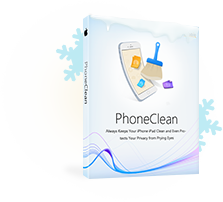 A must-have iOS cleaning utility that made to free up space on an iPhone, iPad and iPod touch to store more Christmas songs, videos and photos. With PhoneClean, you can reclaim 4-5 GB free storage easily. 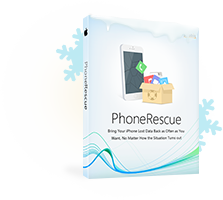 With iMobie PhoneRescue, you can easily get back what you lose, like Christmas messages, or Christmas iPhone/iPad wallpapers, no matter whether you have made an iTunes or iCloud backup or not.